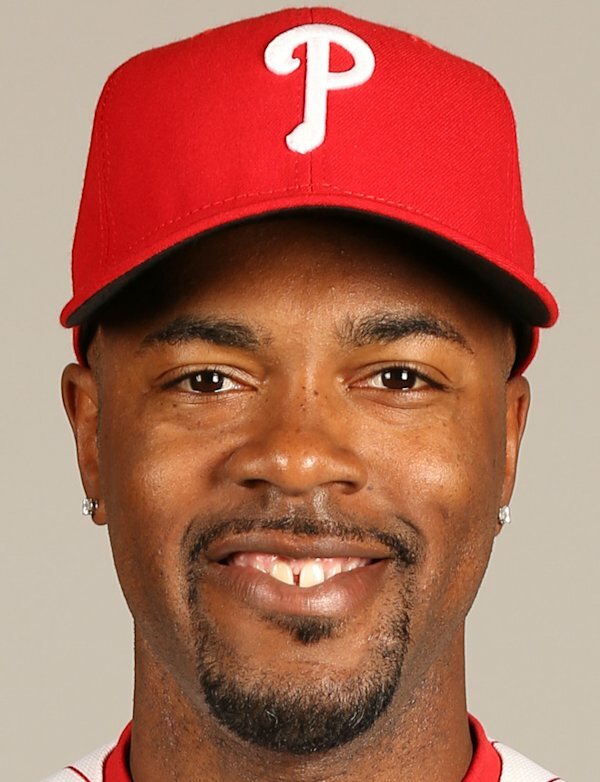 Jimmy Rollins will be back in the starting lineup today batting second for the first time since Monday’s game against the Braves. It was initially thought that Ryne Sandberg was benching Rollins in order to “send a message,” but it turns out it was not disciplinary and was just so Sandberg could get an extended look at the younger Freddy Galvis. However, Sandberg was upset at Rollins for some comments that he made to the Philadelphia Daily News regarding the Phillies offensive struggles thus far. “Who Cares,” Rollins said, and then expanded on that by saying Spring Training statistics are not telling of what will happen once the regular season begins. This is not the first time Rollins has attracted media attention for things that he said. In 2007, Rollins got attention for his comments stating that the Phillies were “the team to beat” in the NL East. Those comments stuck throughout the season and seemed to fuel the Phillies’ quest to claim the division crown. 2013 was Rollins’ worst season of his career, hitting .252 with 6 home runs, 39 RBIs and a career .667 OPS. Todd Zolecki reported that Rollins is not worried that the Phillies will try to have him share time at shortstop with Galvis over the course of the regular season. “That hasn’t even crossed my mind,” said Rollins. “(Rollins is) an important part of the team. He’s got his role on the team as a veteran player, and he comes into Spring Training in very good shape every year, and he has again this year. He’s got his playing time and at-bats coming up. It’s also a long season playing up the middle, so with him and Chase, I’m careful with their games. I know the grind of a season, and Jimmy plays over 150 games a year. It’s the time of the spring right now where he’ll have some time down the stretch,” said Sandberg. Despite Sandberg’s comments saying that he benched Rollins to get more of a look at Galvis and to give Rollins a break, it would not be surprising if Rollins’ “who cares?” comment played a slight role in his benching. That being said, It’s good to see that Sandberg is willing to put his foot down when he sees the need to.